Long time learner, not much posting. Thank you for all I've learned here through multiple trucks. I have a 2016 with 70k miles. Hardway 170 psi transmission tune. I drive like an old man and don't pull much of anything ever. Today while driving the truck would rev but not accelerate at ~50 mph during a downshift when I applied throttle. I was only able to drive it in 1st. I pulled the battery cables to reset everything, and immediately noticed that shifting from Park to Drive resulted in a delay and hard shift. It drove normally until the shift from 3rd to 4th, where it immediately would rev and not apply power. I used the switch on the shifter and noticed that the truck thought it was in 4th. I can lock it out at 3rd gear and it works normally (other than the delayed and hard shift from P to D). Once I manually allow an upshift to 4th it goes wonky again. So, how broken is it, and how broke will I be? Thank you in advance for the assistance. I've learned a lot from this message board, and out of respect for what I've gained I thought I'd post the results of my recent failure. I had the truck towed to ATS (1 mile from my office). 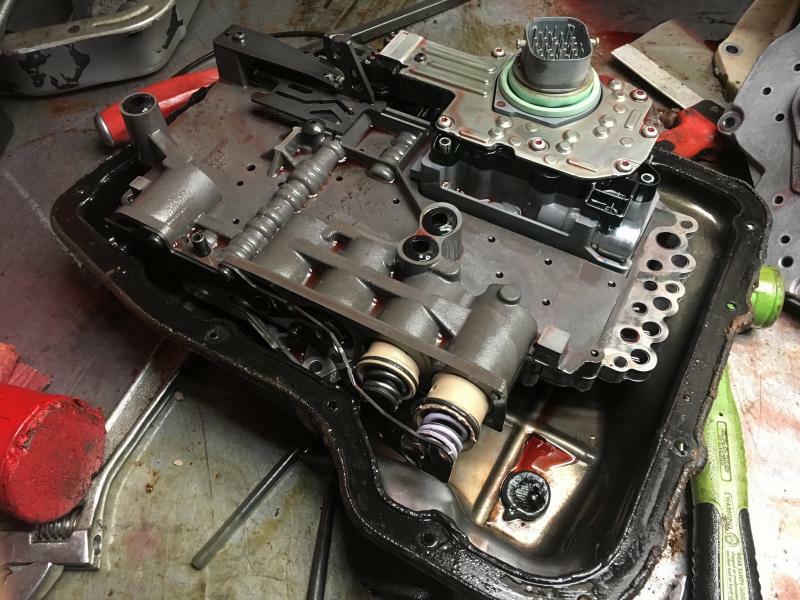 They took the transmission apart and found the valve body blown apart with a bent accumulator plate, warped clutch packs and fried OD clutches. I bought their Stage 3 transmission kit complete with co-pilot. I had no idea what I was missing. The shifts are incredible and the "surge" after shifting in higher gears is unreal. I'm happy knowing that I probably have a forever transmission.